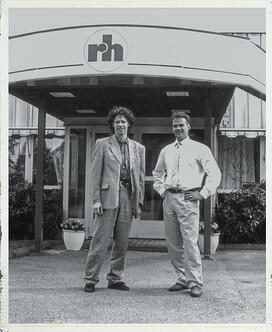 In 1977 Swedish entreprenuer Rolf Holstensson started the brand which today we know as RH. Pioneers in ergonomic furniture with a human centred design, RH has changed the landscape of the modern office forever, introducing concepts which have changed the lives of millions. It wasn't an easy journey, and Rolf faced many challenges on his journey to success. 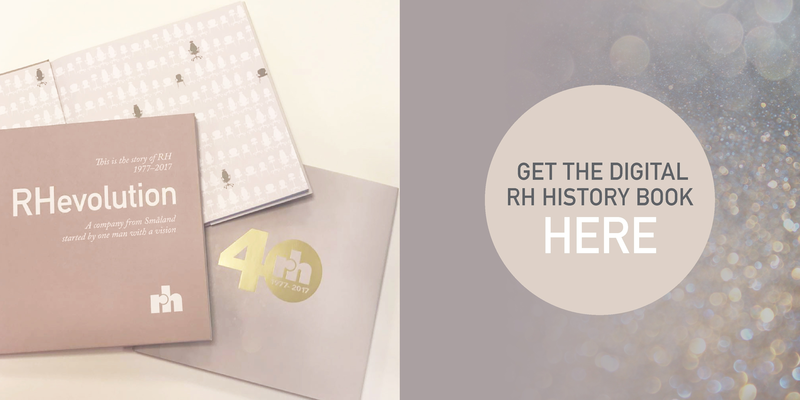 Celebrating the 40th anniversary of RH, over a series of posts we will be recounting the story of RH, from humble beginnings to international acclaim. 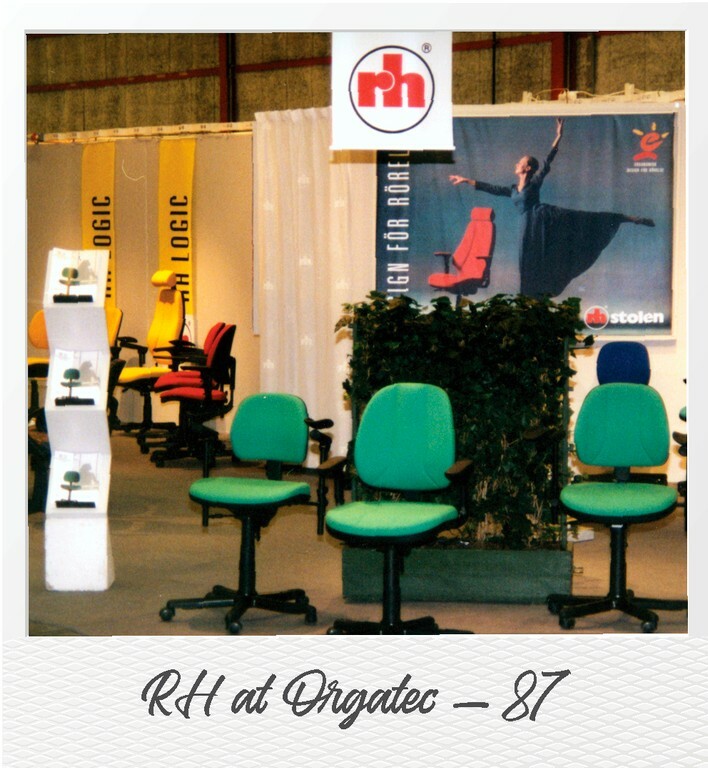 Part two of the story is the Evolution of RH, and how a company who conquered the world of ergonomic seating was able to maintain their position as the leading manufacturer of ergo office solutions. In 1994, the time came for Rolf to “retire”, passing on operational responsibility to his sons. Rolf ’s commitment remained considerable however and he stayed on as the Chairman of RH until 2002. The 1990s came to be defined by the move to the new premises in Nässjö, the success of the Logic family and continued product development. This was also the decade in which RH stepped out into the wider world. After attending several major international trade shows, international business took off in earnest. Following the first appearance at Cologne's Orgatec, the company had several hundred leads in some 30 different countries. It was truly time for RH to spread it's wings. The first step was to recruit a retailer in the UK. Then came the United States... Staff were recruited and offices were set up, but then it all came to a halt. Nothing happened. Invoices remained unpaid and retailers found it difficult to cooperate. RH chairs were popular, but delivering to a whole continent is complicated - sometimes there were as many as five intermediaries before the chair reached the customer. It made the chairs expensive and 'the story behind the chair', which Americans loved, disappeared somewhere along the way. Therefore, the decision was made to leave the United States and instead invest in Europe. In the second half of the 1990s, RH established its own subsidiaries on both sides of the English Channel. Jörgen Josefsson set up the business in London in 1995, and Olgica Pezin did the same in Paris in 1998. Naturally, Jörgen Josefsson hailed originally from Nässjö. He was already living in London and was working at an advertising agency when the phone rang. It was RH’s export manager Ulf Magnusson. "He had been given my name by an acquaintance of mine, and I was from Nässjö. That was sufficient,” Jörgen says. The two of them met at Selfridges Hotel. After a trip to Nässjö and a meeting with Lasse and Peter, all were agreed. In 1995, Jörgen commenced operations in the suburb of Wandsworth. The minimal office was housed in what had previously been the toilet. 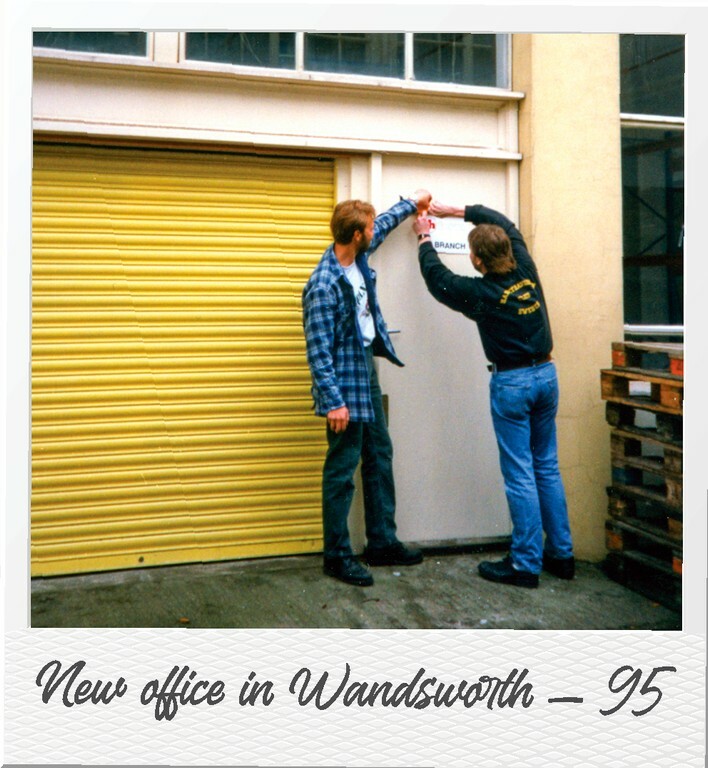 Three years later UK operations moved to Brixton, where we still have a warehouse and office. “When humans started to work with tools, they in fact applied ergonomic solutions”, says Bas van der Doelen, European Ergonomist for Flokk. "When handling stone axes, agriculture tools and machines, we’ve been able to increase productivity, but we were still facing the challenges of pain and wear due to physical effort." 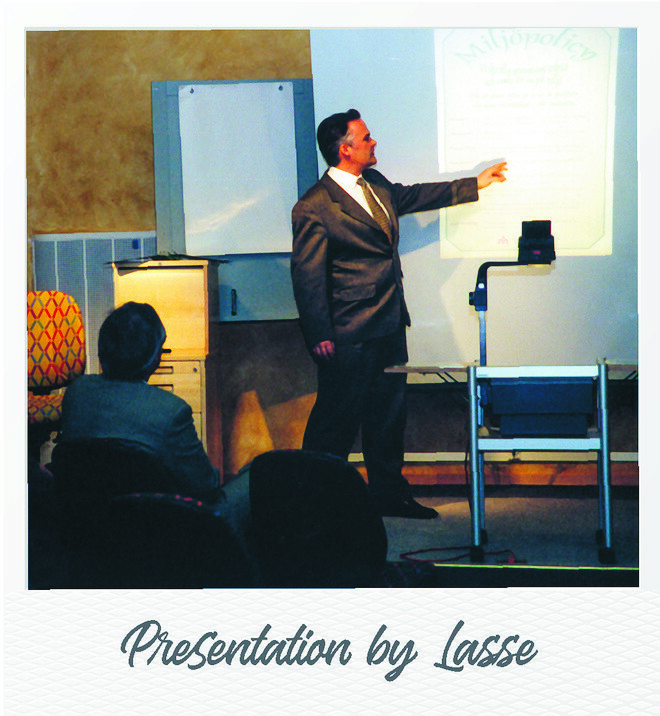 Bas himself has 15 years of experience in the field, as a researcher and a consultant. Working with the Dutch military he has conducted studies on how to optimize physical workload and working conditions for soldiers carrying equipment long distances. is no longer enough. Digitization and IT is changing how we are working and the ways we interact with and experience the world. 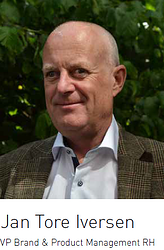 RH was one of the industry’s pioneers in sustainability work, largely due to Lasse Holstensson’s personal commitment and environmental interest. Lasse’s principle was that an RH chair should be as easy to disassemble for recycling as it was to assemble. In collaboration with an innovative manufacturer in Kristianstad, RH managed to replace all harmful plastics with environmentally friendly and degradable polypropylene. With backrests and seats that could easily be removed and replaced – because none of the fabrics were glued – it was easy to extend the life of the chair. Contemporary RH chairs retain all of these features and are designed for a circular flow with a high degree of recycling. They are also adapted to new requirements in the form of the Nordic Swan ecolabel and Environmental Product Declarations (EPD) which measure carbon footprint. In December 2006, RH was acquired by investment company Ratos, which also acquired RBM of Denmark at the same time. Later that year, HÅG of Norway was also acquired. The result was an international group providing office and work chairs, as well as meeting and conference furniture. In 2015 BMA of the Netherlands joined the family, followed in 2016 by Malmstolen, and in 2017 by the latest companies to be acquired, Offect and Giroflex. With more brands in the group, the product portfolio has also broadened, and with that, the group’s strength in various projects and procurement. Today, RH is represented on all continents through its own subsidiaries in Denmark, Germany, the Netherlands, the UK, France, Switzerland, Singapore, Hong Kong, China, Australia and New Zealand, or through retailers and agents. RH’s future will be all about evolution; building on the unique features of RH chairs and further improving them. The human body has not changed over the past 40 years. But how we work has. “The RH concept entails providing good support when seated, while maintaining freedom of movement. An RH chair is a tool that helps you work more efficiently. Preferably, you should feel a bit better when you leave work than when you arrived. This notion works – and we do not intend to change it. However, anything can be improved. Functions can be made even more efficient and controls even easier to handle. Form and design can be customised to the time and context,” says Jan Tore, Vice President & Head of Product Management at RH. In terms of the design language in particular, RH is typically Scandinavian. “Form follows function”. We have been clear and honest about putting ergonomics and function first. Over the past ten years, we have engaged external designers in the process of strengthening the aesthetic expression. But this will never be achieved at the expense of ergonomics. 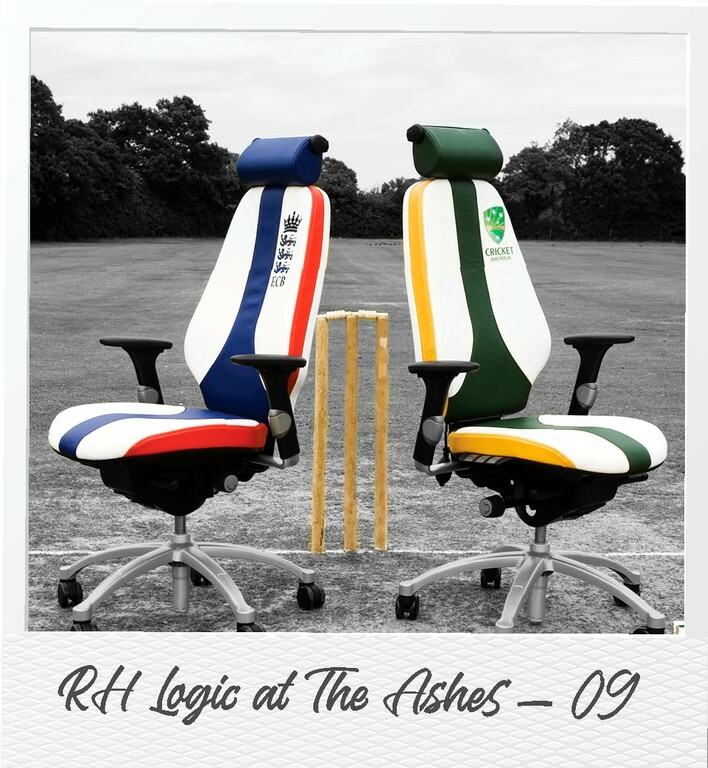 An RH chair should adapt to the user, not the reverse. For that reason, it will always have numerous settings options. At the same time, RH’s strong position on sustainability issues is an asset that facilitates the development of new circular business solutions. "Our capacity to meet customers’ demands for sustainability will be crucial. The new decision-makers, born in the 80’s and 90’s, have other values. They demand sustainability, usability and for furniture to last longer.” says Jan Tore. The fact that working life is changing, with a smaller number of office workstations being shared by several people, and with more meeting places, does not mean that the classic office chair is out of fashion. “But this does impose even greater demands on the chairs being easy to adjust and adapt to the individual. We have also reduced the weight, so they are easier to move. In purely visual terms, it is about creating a chair that works in these open environments,” says Jan Tore. “Here, we have exciting opportunities to integrate new, smart technology into our chairs. Technology that helps create a more varied seating experience and tells you when it’s time to change position. Because it is precisely that variation which is so beneficial for the human body. If You'd like to read more about the story of RH, from humble beginnings to international acclaim, follow the link below to download your free copy of RHevolution; The story of RH today.